"Because, while we're each unique, we have far more in common than we're comfortable admitting. Amplifying our differences may make us feel special, but it's not particularly useful when it comes to getting better." I'm currently helping one of my clients to upgrade their position descriptions or as I prefer to call them, role clarity statements. Each person has the same position (role) yet they work in different territories. We began with the same position description that was written a long time ago. What we've discovered is that while a lot is the same for each person's role, everyone has relationships with different people, and therefore there are many differences in how value is delivered to each of these relationships. Now that we have zeroed in on what's the same and what's different we have been able to tailor make a learning and development program that will help individuals to get better as well as the team to get better. My client is applying in their own best way a key principle of success - it's who before do. 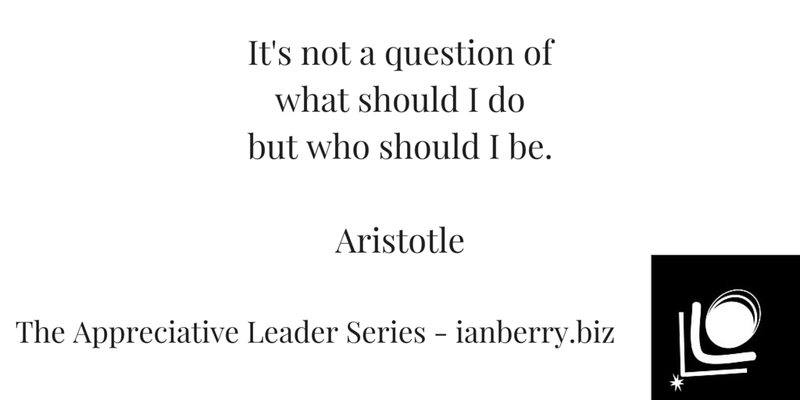 This is the first principle explored in my soon to be released handcrafted guide, The Appreciative Leader. Find out more here. What's different and what's the same for the roles your team members play? Who is each person serving and what value must be delivered to each person? Knowing uniqueness and sameness and working on getting better in both is a key to the consistent high performance of your team as individuals and as a team. 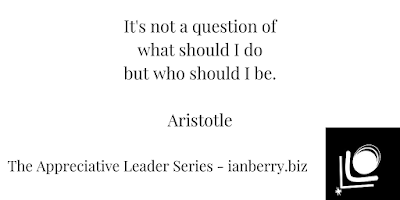 Who will you become and what will you do next?